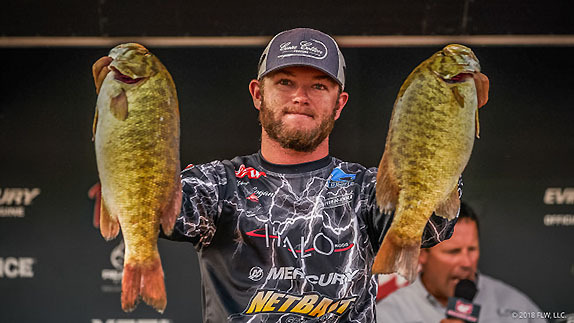 Wes Logan had never fished north of the Mason-Dixon line before going to Lake St. Clair in Michigan for the FLW Tour regular-season finale in late June. He'd caught a few smallmouth bass in his home region, but had never taken one to the scale in a tournament. The 24-year-old from Alabama wasn't a good bet to post the high finish he'd need to qualify for this week's Forrest Wood Cup as a rookie, and his odds got longer when he weighed a mediocre 17-12 sack on day 1. 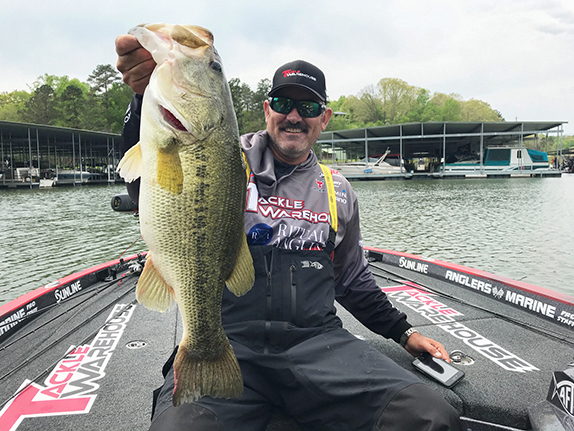 He averaged more than 22 pounds over each of the next two days, however, to log a 12th-place showing in the event and jump from 59th to 41st in the final Angler of the Year standings. Due to double-qualifiers, the Cup cutoff eventually fell at 44th. "That place is pretty special," he said of St. Clair. "I watched a lot of stuff on the Internet and did as much research about it as I could, and it seemed to be pretty simple fishing with tubes and dropshots. I tried to pick an area of the lake to practice in and then hopefully find a group of fish and see where it took me. It didn't take me long after I got out on the water to realize that the Michigan side had some stain to it from all the big party boats, but there wasn't as much on the Canadian side, and that's where I got the majority of my bites. "I was confident that I could catch the fish if I could get around the right size. The first day I thought I was doing okay with about 18 pounds, but then I got to weigh-in and saw what happened (32 anglers boxed at least 20 pounds). The second day got off to a bad start, but I ended up catching a 6-pounder, a 5 and a 4 and a couple other decent ones." His 21-13 haul allowed him to make the cut to the top 30 in 27th place. He bettered that by a pound the following day to climb another 15 slots and gain his Cup berth. Logan comes from a family of tournament anglers, but in his words, "it got serious for me a lot quicker." 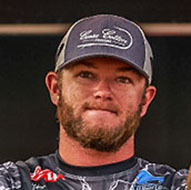 He won a BFL at Lake Neely Henry while still in high school, then triumphed at that same event the following year. 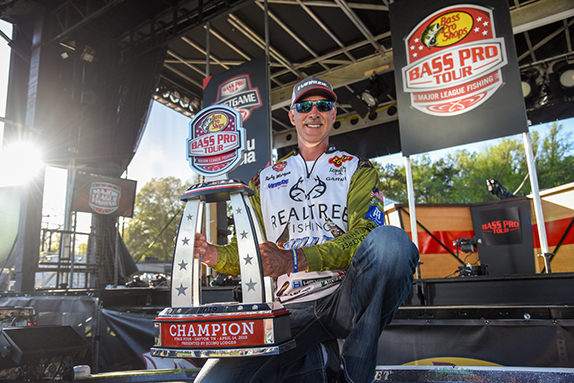 He gained his Tour slot by finishing 7th on last year's Southeastern FLW Series points list. He fared even better on that circuit this year as he was the runner-up to Tour stalwart Bryan Thrift after finishes of 21st at Okeechobee, 7th at Seminole and 25th at Santee Cooper. His objective for his first Tour campaign was to capture the Rookie of the Year title, but a 177th-place bomb at the Harris Chain of Lakes in Florida in his second outing pretty much dashed that hope. He ended up 15 places behind ROY winner Matt Becker in the final Tour standings. He caught limits on both days at the Harris Chain, but neither bag exceeded 7 pounds. "I lost every good fish I hooked in that tournament," he said. "It was awful and I don't even like to think about it. I was fishing around Scott Canterbury the whole time and he watched a bunch of them come off and about all he could say was, 'Hey, I'm sorry, man.' It was pretty bad." Logan made a pre-practice trip to Lake Ouachita, which will host the Cup for the fourth time this year. It was his first-ever visit to the venue. "I went for a couple of days and fished a little bit and caught a few, but what I really wanted to do was just look at the whole lake," he said. "I've got an idea of where some fish might be when we go back. I'm not a big believer in trying to catch a bunch in pre-practice because everything's going to change, anyway." "Fishing anywhere in August can be tough unless you're way up north, but somebody will figure out a little deal. 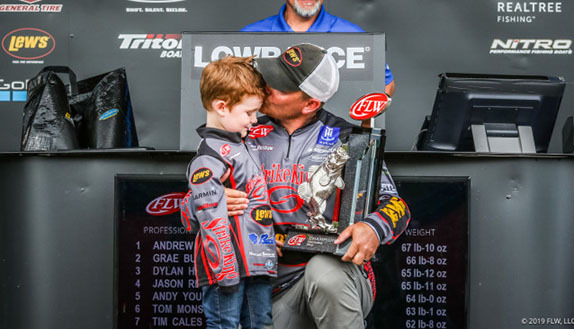 Probably 14 or 15 pounds a day is what it's going to take (to win), or come pretty close, but when you get 56 fishermen of that caliber out there, anything can happen."